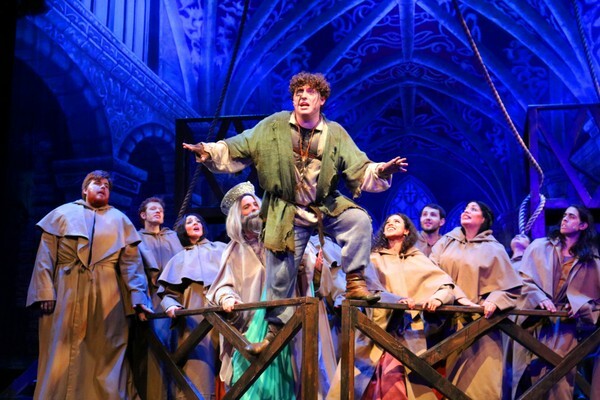 New Jersey Footlights: LONJ's 'Hunchback' a spectacular DON’T MISS event. 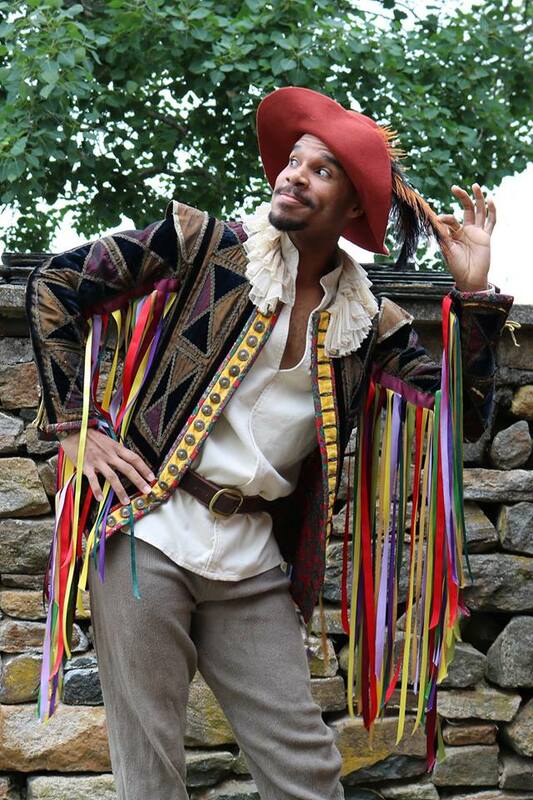 LONJ's 'Hunchback' a spectacular DON’T MISS event. 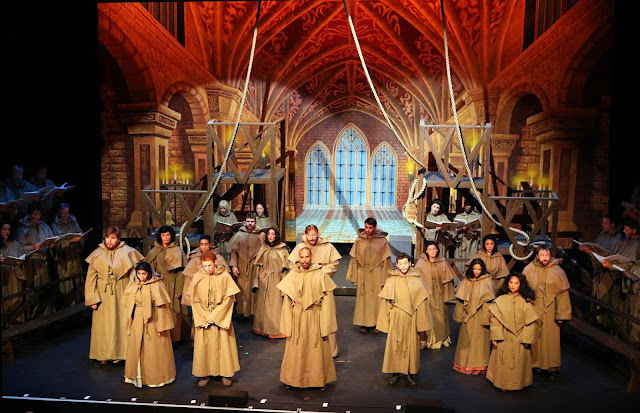 The LONJ production of The Hunchback of Notre Dame, directed by Jeffrey Fiorello with musical direction by Stephen Fox and choreography by Michael Scannelli is a spectacular DON’T MISS event. This exciting, beautifully staged retelling of Victor Hugo’s tale of Quasimodo, the deformed bellringer at Paris’ Notre Dame Cathedral has the makings of becoming a musical theater classic in the same league as Phantom of the Opera and Victor Hugo’s Les Miserable (all set in Paris). This Light Opera of New Jersey production has it all, great music, great voices, exciting choreography, marvelous costumes, excellent set, lighting and sound effects. Major credit, of course, must go to the Disney creators: Peter Parnell for the book based on the Disney film, score by Alan Menken (Disney's The Little Mermaid, Beauty and the Beast) and lyrics by Stephen Schwartz (Wicked, Pippin). And cast….the leads, all with superior voices worthy of any stage (watch video), include Will Carey with a star-turn as the tragic Quasimodo (top photo), he particularly impresses in his eight musical numbers, including two solos…”Out There” and “Heaven’s Light.” Carey in full view of the audience makes the highly effective transformation into the grotesque hunchback. Erica Nadera as Esmeralda (below), the beauty to Quasimodo’s beast. With her qualities of looks, voice and dance skills, she captures the hearts of Quasimodo, Captain of the Guard Phoebus and the celibate Frollo. Playing the Captain is Michael Barthel (photo above). He loses his position for the love of Esmeralda (remind you of Don Jose and Carmen?) His standout moment is his Second Act duet with Esmeralda “Someday,” a plea for a better life. The outstanding supporting cast includes: Dan Malloy (Jehan Frollo); Ally Borgstrom (Florika); Jonathan Wells (Father Dupin and King Louis XI); Ethan Lynch (Lt. Charlus); Kevin Ohlweiler (Tribunal); Tracey Lynne Haskell (Madam); and Will Roper (St. Aphrodisius). Christopher Centinaro, Kevin Farrelly Samantha Kaplan, Anna Lovallo and Susan Ramirez. The marvelous choir: Robert Allen, Cardarious Bonner, Caroline Brazelton, Ron Buesser, Teresa Carlomagno, Jason Cilento, William Corson Anchal Dhir, Christina Eliades, Laura Farmer, Megan Fry, Julie Galorenzo, Troy Giel, Carly Hatcher, Joanna Hoty Russell, Changkuo Hsieh, Steve LaMaita, Jodi Maloy, Barbee Monk, Zachary Morehouse, GianMarco Scotti, Andrea Thibodeau, and Heath Weisberg. Director Jeffrey Fiorello’s support staff: Bill Corson producer, Pamela Wilczynski stage manager, Scott Baird assistant stage manager, Rob Cruz sound design, Beau Kennedy scenic design, Kevin Ohlweiler Fight Captain, Barbara Canace costume mistress, Beth Gleason hair and makeup design, Brian Butterfield ASL coach, Eileen Cooper Sedek social media, Diane Gianngreco lighting/graphic designs, Christine Hahn, Kate Pierce props design. Costumes by Scaramouche Costumes LLC of Chester, New Jersey. The Orchestra: Stephen Fox musical director and conductor, keyboard one Lois Buesser, keyboard two Charles Santoro, horn Erica J. Arango, trumpet Chris Arnold, cello Sariah Mourik Johnson, Reed one Jon Bencivenga, Reed Two Nancy Vanderslice, Reed Three Andrew Pecota, violin Graham Cohen, drums/ percussion John Leister. 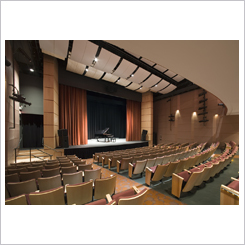 Tickets: $20-45, available online at www.sopacnow.org. Student tickets are available at the door! Bring your Student ID and enjoy the performance for $20-$25! 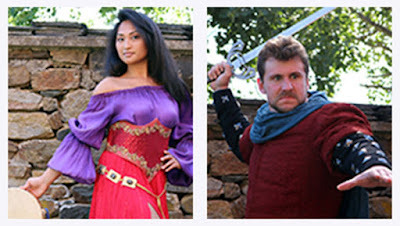 Read about Bill and Lauran Corson, the founders of the Light Opera of New Jersey in this NJ.com article.